The Department of Mathematics has been awarded a new three year GAANN (Graduate Assistance in Areas of National Need) from the US Department of Education commencing Fall 2015. Mathematics has been designated by congress as an area of national need. This grant tries to address this area of national need by providing for doctoral fellowships to support excellent US citizen and Permanent Resident graduate students in mathematics at LSU. Bradley Currey (Saint Louis University), Gestur Olafsson (LSU) and Gail Ratcliff (East Carolina University) are organizing an AMS Mathematics Research Communities Summer Conference on Lie group representations, discretization, and Gelfand pairs. The conference will take place June 5-11, 2016 at Snowbird Resort, Utah. 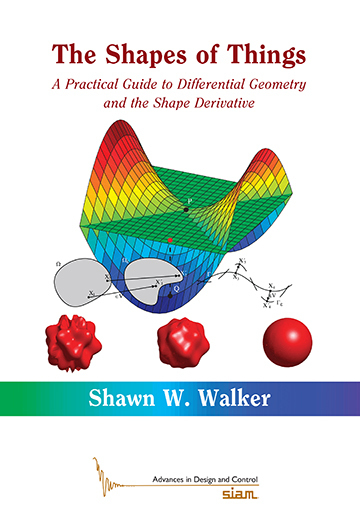 Professor Shawn Walker's book The Shapes of Things: A Practical Guide to Differential Geometry and the Shape Derivative was published in the SIAM monograph and textbook series Advances in Design and Control. LSU Math Major Colleen Robichaux was awarded a 2015 Astronaut Scholarship. The LSU Honors College News featured Math Major Bruno Beltran who graduated this May. He is the recipient of a 2013 Goldwater Fellowship, and a 2015 NSF Graduate Research Fellowship that will be supporting his PhD graduate studies in Systems Biology at Stanford University. His Honors Thesis under Professor Frank Neubrander was on Matrix Exponentiation without Scaling and Squaring. Alex Iosevich, Azita Mayeli and Gestur Olafsson are organizing an International Conference on Harmonic Analysis and Applications in New York City from June 1-5, 2015. 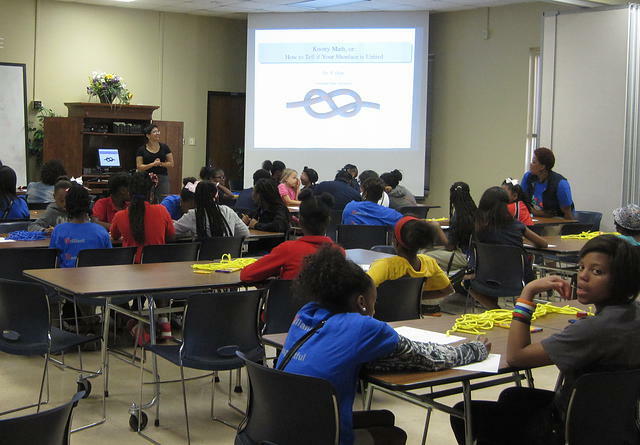 The conference is supported by the National Science Foundation. Ambar Sengupta has received a 2015 LSU Distinguished Faculty Award, and Stephen Shipman has received a 2015 LSU Alumni Association Faculty Excellence Award. Richard Ng, Dmitri Nikshych, Eric Rowell and Zhenghan Wang are organizing a Conference on Modular Categories -- Their Representations, Classification, and Applications in Oaxaca, Mexico. The conference is sponsored by the Banff International Research Station.